Humanity has faced quite a few ethical dilemmas throughout its time here on Earth. With the rate at which technology is advancing, we could be set to face an entirely new set of moral challenges in the coming years. One of those challenges is the concept of cloning. Though the technology behind it hasn't quite seen the level of rapid advancement AI has, scientists have reached a number of notable milestones over the years. Researchers have managed to clone sheep, dogs and other mammals of various sizes and shapes. That said, primates have proven to be a particularly difficult species to clone due to the fundamental differences between them and other mammals. However, that barrier has finally been overcome in the form of two adorable, cloned female baby Macaques. 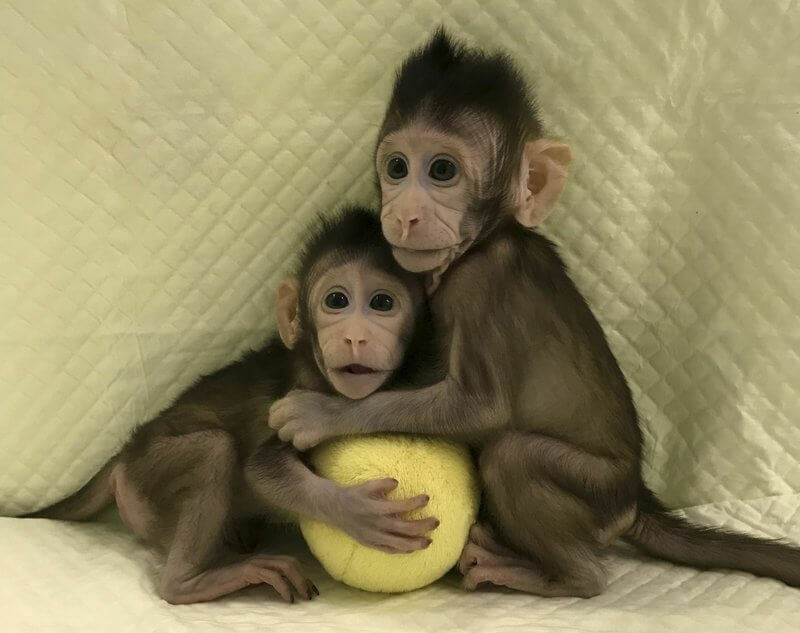 The monkeys, named Zhong Zhong and Hua Hua, were created after scientists managed to remove the nuclei from monkey eggs and replaced them with DNA extracted from a monkey fetus. This process was no cakewalk, though. AP News says it took scientists 127 eggs and 79 embryos to achieve these results. One of the researchers who performed the marvel, Muming Poo of the Chinese Academy of Sciences, said the accomplishment proves the cloning of humans is "theoretically possible" but not something he and his team would ever attempt on ethical -- and eventually legal -- grounds. Instead, Poo says scientists can now attempt to create identical monkeys for use in human medical research.